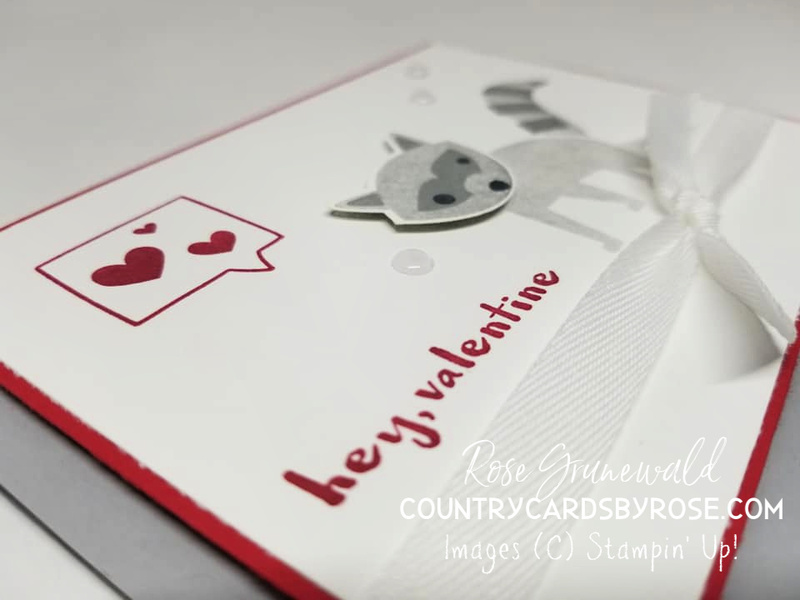 Did you catch my LIVE online stamping class last night? I had a BLAST showcasing some super cute cards using #simplestamping. 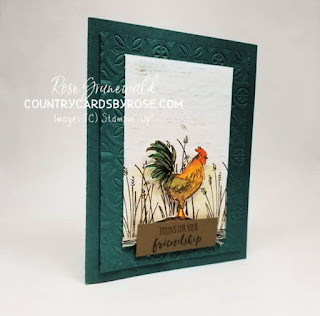 All of the cards in this assortment have a Whisper White card front layer that is 4 3/4" x 3 1/4"
I coordinated each of these cards with the Organdy Ribbon Combo pack which is FREE with a $50 purchase during Sale-A-Bration. This cute bird and hamster card uses the Daffodil Delight ribbon from the combo pack. It also comes in Balmy Blue, Grapefruit Grove, Highland Heather, and Lemon Lime Twist. 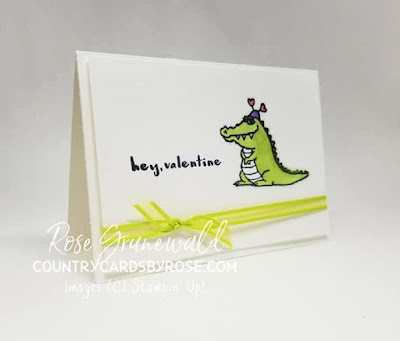 Isn't that 'gator cute! 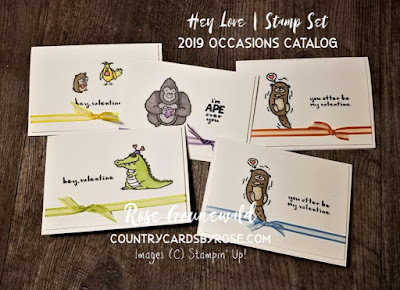 I used my Stampin' Blends to color in all these cute little creatures. For the 'gator gal, I used dark and light Granny Apple Green blends. 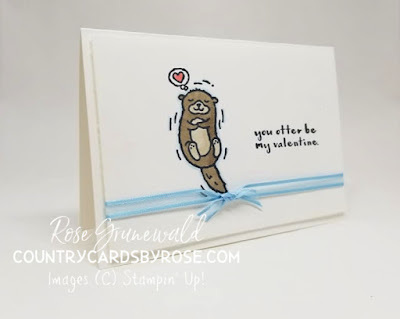 This otter card is my favorite - I just LOVE that little saying! How clever! 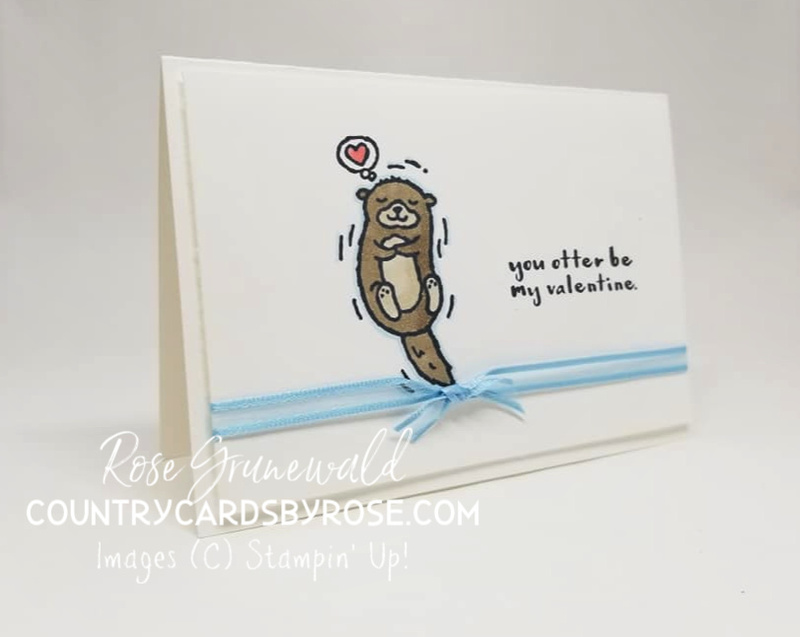 Here's another otter card using the Grapefruit Grove ribbon. I think it really makes that heart pop, don't you? 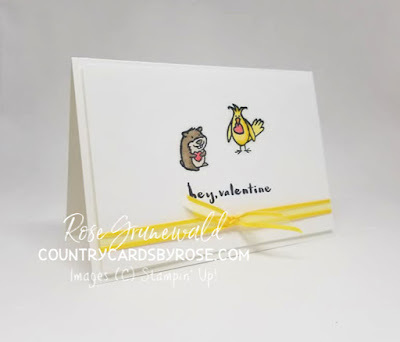 I used dark Flirty Flamingo for the heart. 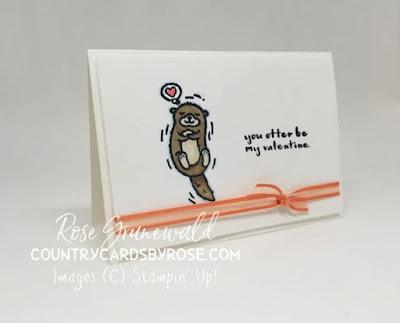 I also made a Valentine using the Foxy Friends stamp set and punch. 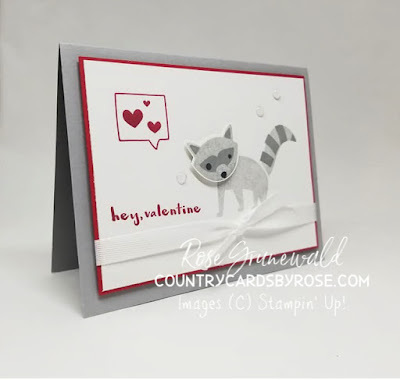 Just using the punch on the raccoon's face adds some simple dimension to this card. 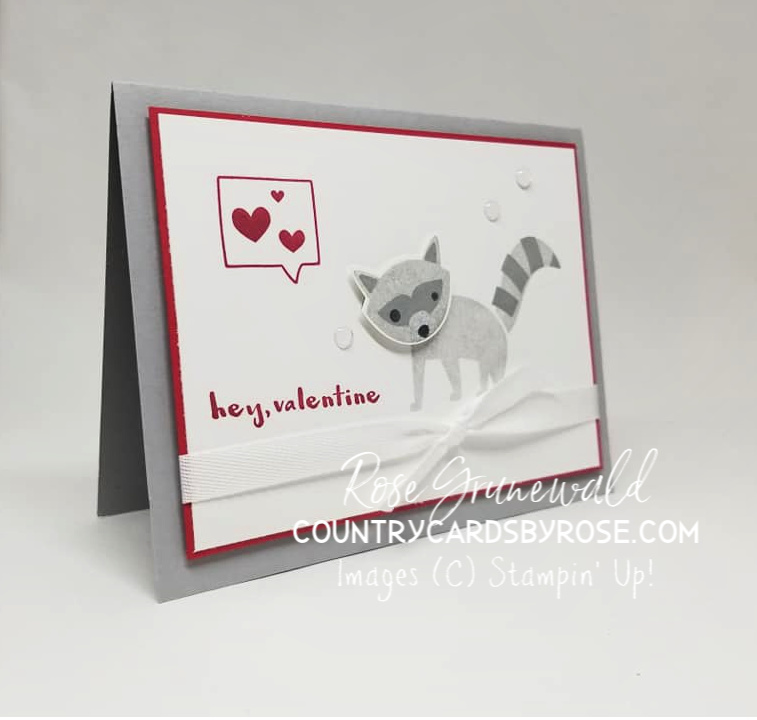 Smoky Slate Card Base - 5 1/2" x 8 1/2", fold at 4 1/4"
Real Red - 5" x 3 3/4"
Whisper White - 4 7/8" x 3 5/8"
The different tones of grey for this raccoon were created just by using the stamping off technique. Finally, I made this super cute and rustic card featuring the FREE Home to Roost stamp set. 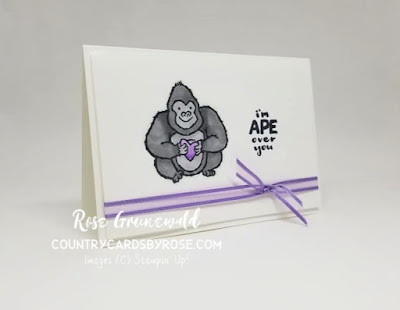 I copied the card in the Sale-A-Bration flyer for this card and used it to get my creative juices flowing. 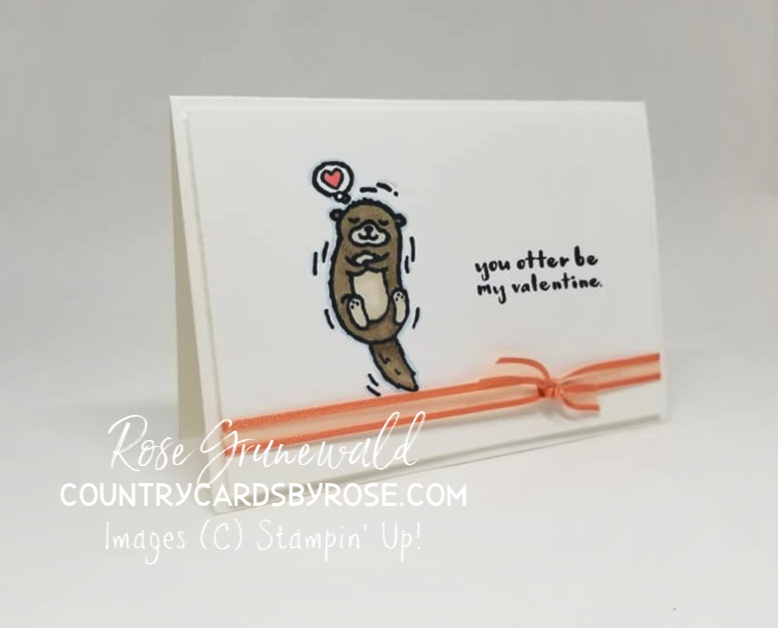 I changed up the embossed layer a bit with the Wood Planks Dynamic Textures Embossing Folder in my video, but I forgot to snap a photo! Oops! 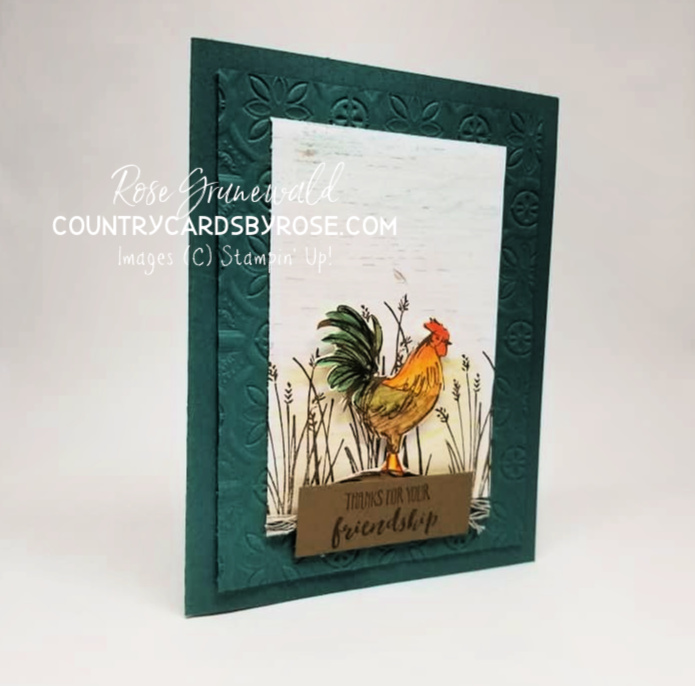 Tranquil Tide Card Base - 5 1/2" x 8 1/2", fold at 4 1/4"
Tranquil Tide - 5 1/4" x 4"
DSP - 4" x 2 3/4"
Soft Seude - 2 1/4" x 3/4"
You can watch me create all these super simple and pretty cards on the replay of my Facebook Live below. If you haven't liked my Facebook page, go do it now! 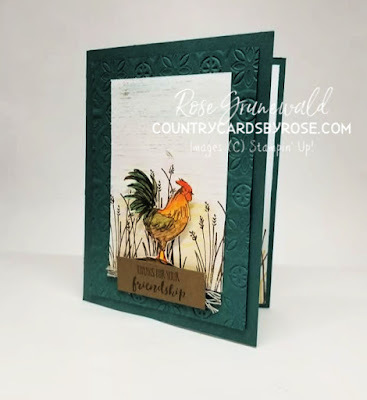 You don't want to miss my LIVE stamping classes! Also, make sure you SUBSCRIBE to my YouTube channel so you don't miss any videos from me! You can click any of the products listed below to purchase from my online store. My host code this month is Z6NWEPT3. Remember, skip the code if your order is over $150 (wait...if your order is over $150, talk to me about becoming a discount shopper and getting a great deal with more bang for your buck). Don't forget to log your purchases on your Rustic Rewards tracker!